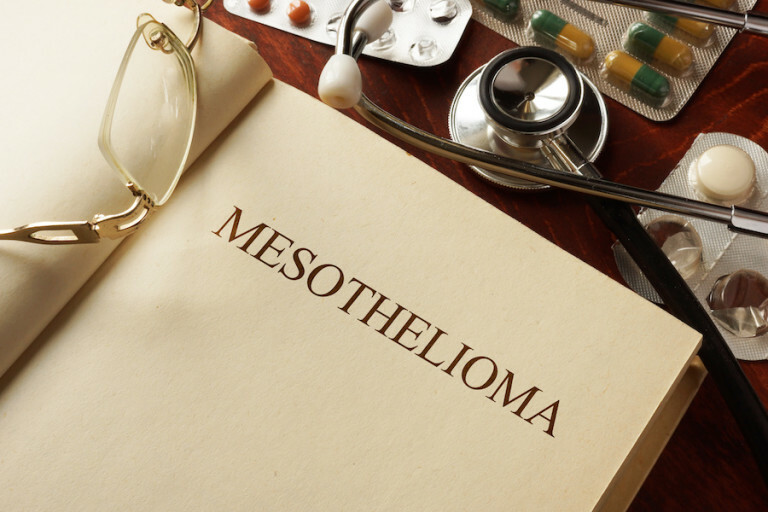 Although Mesothelioma is a rare difficult disease to treat- there are options. Research has shown that everyone’s tumor is as different as everyone’s fingerprint. As medicine advances to personalized treatment for mesothelioma it is no longer a one treatment option fits all situations. One of the options that could be recommended is surgery. Although mesothelioma is not known as a curable disease there is hope. The goal of all interventions is to increase the length and quality of your life. Diagnostic Surgery: The Purpose of This Procedure is to Confirm the Presence of Cancer. – Fine needle aspiration: this procedure is used to remove cells. The cells are then examined and used to confirm a diagnosis. – Excisional biopsy: the removal of the entire tumor or mass. It is then later examined for diagnosis. – Core biopsy: removes a small section of the tissue. – Thoracoscopy: a small fiber optic camera on the end of a flexible scope is inserted creating small incisions that allow the surgeon to examine the surface of the pleura. – Cervical Mediastinscopy: in this procedure a small incision is made just below the neck. A scope is inserted to identify if the lymph nodes have been involved with mesothelioma. If the lymph nodes have been involved with mesothelioma, chemotherapy is often suggested prior to any extensive surgery. Extra Pleural Pneumonectomy (EPP) surgery involves removing the entire lung, the lining and parts of the diaphragm. Although this is a life altering surgery there are patients who have successfully recovered from this radical surgery. The goal of the surgery is maximum reduction of the tumor burden. Pleurectomy / Decorticatation surgery spares the lung and only takes the pleura lining surrounding the lung. There may also be disease on the chest wall which could be removed. There are many considerations used to determine whether an EPP or Pleurectomy/Decortication is right for a specific patient. Palliative Surgery is a partial surgical intervention done to reduce pain and symptoms associated with mesothelioma. In no way is this curative but the hope is that it will help improve quality of life. Thoracentesis: Often times patients end up at their primary care physician’s office or their local ER complaining of shortness of breath. Once identified that there is substantial fluid in the lung, the decision may be made that the physician tap the area. (Also known as thoracentesis.) A long thin needle is inserted into the pleural space, the lung fluid is drained and immediately relieves shortness of breath and sometimes discomfort. Patients can usually return home a couple of hours after this surgery. In a talc pleurodesis, a doctor injects talc in between the layers of the pleura and then suctions it out. This creates a sticky surface forming scar tissue which seals the pleura and prevents further fluid buildup. It is performed at a hospital under general anesthesia. The American Cancer Society reports that 90 percent of patients who undergo this procedure receive some pain relief. The timing of when surgery might be recommended to a patient depends on the goals of surgery. If the goal is to reduce pleural fluid, improving quality of life- thoracentesis. Remove the diseased tissue surrounding the pleura-pleurectomy. Debulk the tumor removing as much of the cancer as possible that has invaded the lung and surrounding tissues- extra pleural pneumonectomy. Cytoreductive surgery is used for peritoneal mesothelioma. It involves removing all the tumor visible to the eye, “debulking” the tumor. Heated chemo is then given to the area. This procedure known as intraperitoneal chemotherapy, also known as HIPEC, has proven to be successful in treating many peritoneal mesothelioma patients. The goal of chemotherapy is to stop the multiplication of cancer cells by killing them. Chemotherapy does not offer a cure for mesothelioma but does attempt to prolong life. Chemotherapy is usually administered intravenously or by pill form. The goal is to receive this drug and let the medication attack any cancer cells and reduce them. Chemotherapy can be given as a primary treatment or an addition to surgery. The type of mesothelioma, stage and patients overall health will help determine what type of chemotherapy will be administered. Chemotherapy is usually given in cycles so the body has time to heal. Chemo cycles usually last 3-4 weeks. Please remember not everyone is a candidate for this. Your overall health will be examined to see if your body can tolerate this procedure. Systemic chemotherapy can also be placed into the body either intrapleurally (into the chest) or intraperitoneally (into the abdomen). These procedures are done after catheters are placed. Under certain conditions, drugs are heated and given during surgery. The heated aspect is believed to make the drug more powerful in killing the cancer cells. There are many side effects of chemotherapy which include, hair loss, loss of appetite, nausea, vomiting, diarrhea, increased chance of infection, fatigue. If you are one of the patients who has not handled chemotherapy well, often times a doctor can reduce the dose down to one drug as opposed to two. Most oncologists and nurses are aware of potential side effects and prescribe other medication to help combat these side effects. The most widely used chemotherapy agents are Cisplatin and Pemetrexed (also known as Alimta). Radiation therapy is used in a few different ways to treat mesothelioma. The most common type of radiation is External beam radiation therapy. It can be used after surgery to kill any excess cancer cells. It can also be used for a palliative treatment. Sometimes patients get radiation for shortness of breath, pain and bleeding. Each treatment only takes a few minutes. It usually takes longer for the initial set up prior to the radiation. Before the treatment starts the medical team will spend time taking measurements to find the correct angle for aiming the beam to the exact spot. The procedure itself is painless and is very similar to having an x-ray taken. Usually radiation is given 5 times a week for several weeks. Brachytherapy is a type of radiation that is placed inside the body, near the cancer. The radiation travels a very short distance which limits damage to surrounding areas. Brachytherapy is rarely used for mesothelioma. Intensity modulated radiation therapy IMRT is a 3 dimensional radiation therapy. It is administered by a computer driven machine that moves around the patient delivering the radiation. The idea is to have the radiation beams fit the tumor. The side effects of radiation are usually fatigue, sunburned areas of the skin where radiation is focused. Sometimes hair loss where radiation is given. Also radiation can cause nausea, vomiting, and diarrhea. The side effects usually go away after treatment ceases. Complementary Therapies are also used along with conventional therapy. It is administered to help alleviate some of the symptoms to help the patient feel better and improve the quality of the patient’s life. Among the different types of complementary therapy are aromatherapy, acupuncture, herbal medicine, massage therapy, visualization and yoga. Alternative Therapies are treatments that are offered instead of conventional medical treatment. Often advertised as cancer cures, these treatments have not been proven safe or effective with clinical trials. There is not any scientific proof that these treatments work. In 2017, the American Society of Clinical Oncology (“ASCO”) published guidelines for the treatment of pleural mesothelioma. The ASCO guidelines, written by leading mesothelioma experts, includes recommendations for diagnosis, chemotherapy, radiation and surgery. It is recommended that mesothelioma patients find out about the latest treatment options at mesothelioma treatment centers.